Curriculum contextualisation and the role of teachers as curriculum makers are important for student learning. 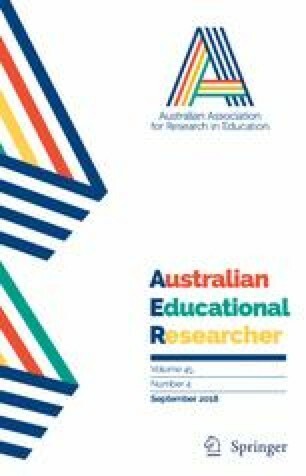 Building on this idea, this study was developed to understand if teachers from well-ranked schools are motivated to contextualise the curriculum and are using this strategy in their daily classroom routines. Data were gathered through focus group interviews with teachers from three Portuguese secondary schools that were well placed in the national exam ranking. The data analysis showed that teachers are motivated to contextualise the national curriculum in their daily teaching and learning practices to promote their students’ academic success and full development. However, teachers also identified constraints related to the existence of a mandatory national curriculum to be fulfilled, which is necessary for the national exams, and the length of the subject programmes. Despite the constraints, teachers recognised the positive outcomes of curricular contextualisation, mostly regarding the promotion of students’ motivation to learn. This work was funded (in part) by National Funds through the FCT—Fundação para a Ciência e a Tecnologia (Portuguese Foundation for Science and Technology), through the project “[Putting knowledge in context towards the improvement of students’ achievement]”, with the ref. “[PTDC/CPE-CED/113768/2009]”, and within the strategic project of CIIE, with the ref. “UID/CED/00167/2013”. Commission of the European Communities. (2001). The concrete future objectives of education systems: Report from the commission. Retrieved February 15, 2016 from http://eur-lex.europa.eu/LexUriServ/LexUriServ.do?uri=COM:2001:0059:FIN:EN:PDF. Commission of the European Communities. (2007). Schools for the 21st Century: Commission staff working paper. Retrieved February 15, 2016 from http://ec.europa.eu/danmark/documents/alle_emner/information/070712_skole-hoering.pdf. European Commission. (2012a). Rethinking education: Investing in skills for better socio-economic outcomes. Retrieved February 25, 2016 from http://ec.europa.eu/education/news/rethinking/com669_en.pdf. European Commission. (2012b). Annual growth survey 2013. Retrieved January 20, 2016 from http://ec.europa.eu/europe2020/pdf/ags2013_en.pdf. European Council. (2009). Council conclusions of 12 may 2009 on a strategic framework for European cooperation in education and training (“ET 2020”). Retrieved January 20, 2016 from http://eur-lex.europa.eu/LexUriServ/LexUriServ.do?uri=OJ:C:2009:119:0002:0010:en:pdf. European Council. (2013). Council conclusions on investing in education and training: A response to ‘rethinking education: Investing in skills for better socio-economic outcomes’ and the “2013 annual growth survey”. Retrieved February 15, 2016 from http://www.consilium.europa.eu/uedocs/cms_data/docs/pressdata/en/educ/135467.pdf. European Parliament and Council. (2006). Recommendation of the European parliament and of the council of 18 December 2006 on key competences for lifelong learning, official journal of the European communities L394. Retrieved January 21, 2016 from http://eur-lex.europa.eu/LexUriServ/LexUriServ.do?uri=OJ:L:2006:394:0010:0018:en:PDF. European Union Council (2011). Council conclusions on the role of education and training in the implementation of the “Europe 2020” strategy. Retrieved February 15, 2016 from http://www.consilium.europa.eu/uedocs/cms_data/docs/pressdata/en/educ/119282.pdf. Gillespie, M. (2002). EFF research principle: A contextualized approach to curriculum and instruction. EFF Research to Practice Note, 3, 2–8. Retrieved June 15, 2016 fromhttp://www.edpubs.gov/document/ed001934w.pdf. OECD. (2010). Ministerial report on the OECD innovation strategy innovation to strengthen growth and address global and social challenges: Key findings. Retrieved June 5, 2016 from http://www.oecd.org/sti/45326349.pdf. Perin, D. (2011). Facilitating student learning through contextualization. Retrieved January 20, 2017 from https://ccrc.tc.columbia.edu/media/k2/attachments/facilitating-learning-contextualization-working-paper.pdf. UNESCO. (1990). World declaration on education for all and framework for action to meet the basic learning needs. Retrieved February 15, 2016 from http://library.unesco-iicba.org/English/Girls%20Education/All%20Articles/Legal%20Instruments/EFA%20goals.pdf.